There will be three major focus areas at this year's Automechanika Johannesburg which takes place at Expo Centre, Nasrec, from 18-21 September 2019. Each of the first three days is being dedicated to a specific focus area: innovation on the Wednesday, skills development on the Thursday and "buy local" on the Friday. This year's event will mark the sixth time that a world-renowned Automechanika trade fair is staged in South Africa and the second time that it is co-located with the Futuroad Expo, sub-Saharan Africa's leading professional event for the truck, bus, and commercial vehicle industry. Futuroad is the magnet that attracts buyers and suppliers in the region to see new products, innovations, technologies, and services while sharing ideas and building relationships across the truck and bus industries. Expect industry heavy weights such as Everstar, MCV, Serco, Tata, UD Trucks, and Volvo, to display their latest models. The number of exhibitors and visitors to the biennial Automechanika Johannesburg trade fair has grown steadily since the first show was staged at Expo Centre in 2009. Some of the Automechanika exhibitors at this year's show includes Trysome Auto Electrical, Centlube, Aer-o-cure, Diesel Electric, Launch Technologies, Engen, Dixon Batteries and Turbo Direct - to name just a few. This year the organisers are targeting to attract more than 600 local and international exhibitors. A big thrust is being made into Africa to attract more visitors from the sub-Saharan region, following an increase of 80% in visitors from north of South Africa to the 2017 event, when visitors came from Botswana, Kenya, Lesotho, Mozambique, Namibia, Zambia, and Zimbabwe. "Focusing on innovation, skills development and 'buy local', we have identified three important topics to build on for the first three days of the show," says Joshua Low, Group Exhibitions Director of Messe Frankfurt South Africa. "We are encouraging exhibitors as well as the organisers of conferences and workshops to link into these themes as they play a vital role in building a strong support base for the automotive aftermarket in South Africa. Our local vehicle manufacturing industry is embarking on a new programme to encourage increased local content, upskilling of employees and the development of innovative products and processes," adds Low. Automechanika Johannesburg is, therefore, a "must attend" for all those involved in the local motor industry. 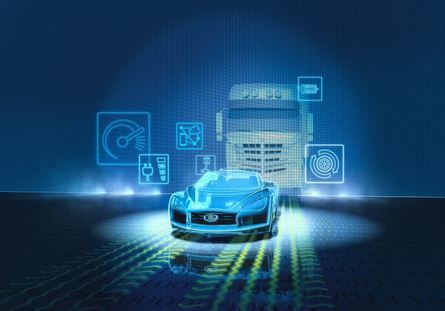 This year it again has the benefit of being co-located with the Futuroad Expo of trucks and buses, which are very relevant to many companies involved in the automotive industry.